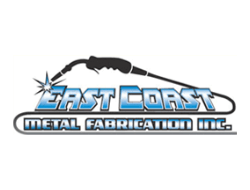 East Coast Metal Fabrication has fully experienced shop and field welding/fabrication crew. ECMF also has a fully experienced industrial management team with strong mining and industrial plant management experience. Through partnering with our clients we successfully build products which service heavy commercial and industrial environments. Through strategic partnerships, East Coast Metal Fabrication is able to streamline costs and schedules for mutual growth, while building strong relationships that last.